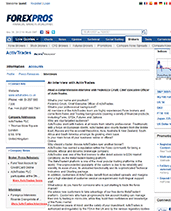 Read a comprehensive interview with Federicco Cirulli, Chief Executive Officer of ActivTrades. Federico Cirulli, Chief Executive Officer of ActivTrades. 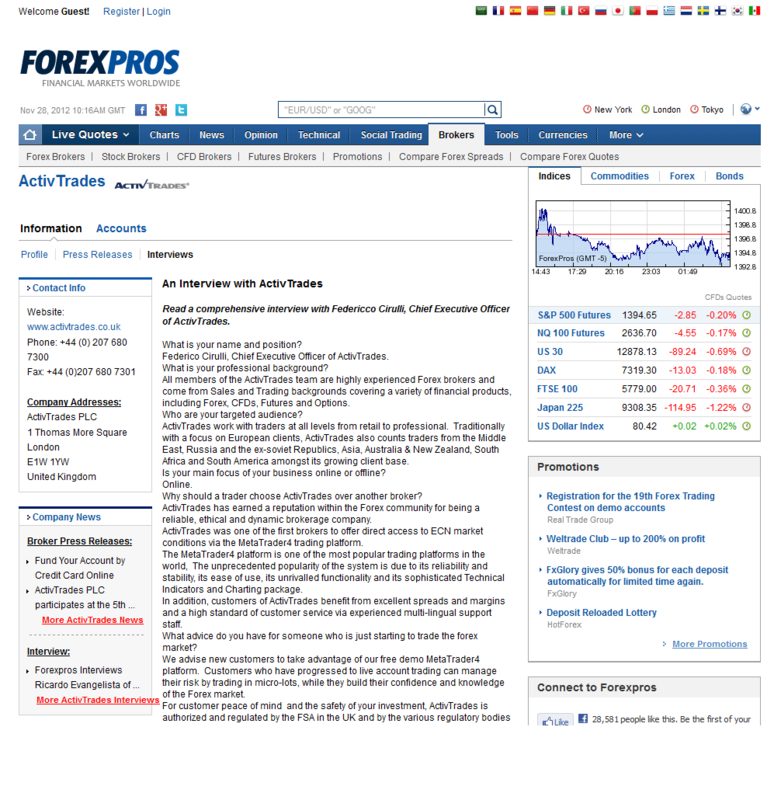 All members of the ActivTrades team are highly experienced Forex brokers and come from Sales and Trading backgrounds covering a variety of financial products, including Forex, CFDs, Futures and Options….